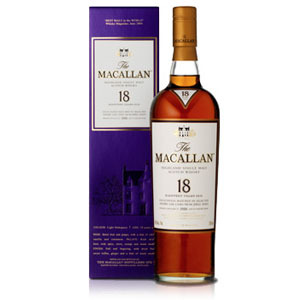 Up until a generous reader (this one) sent me a sample of Dailuaine 16, my experience with the Speyside distillery has been limited to the various Compass Box malts that contain it as a component (Spice Tree and Flaming Heart, among others). This isn’t really my fault, though, as the distillery’s output sees vanishingly small distribution in the US. 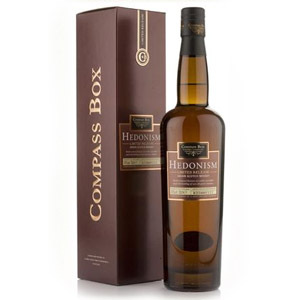 This bottle, purchased at UK retailer The Whisky World in London, is from Diageo’s “Flora and Fauna” series of distillery odds and ends that don’t really warrant (in production volume or demand) their own full production lines and brands. 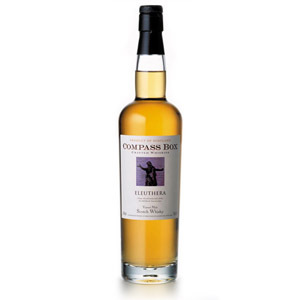 The Flora and Fauna release is the closest this distillery gets to an official bottling. 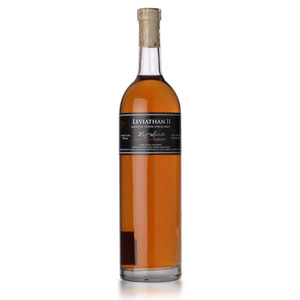 Nose: Light sherry notes of the stonefruit variety: plum, apricot, etc. A very slight rancio note (less rancid and more yeasty) that merges nicely with pale buttery oak. Elegant, though unsurprising. Palate: Medium bodied. A little hot for 43%, but resolves quickly into bakery treats (peach tarts? ), buttered scones, jam, and caramelized sugar that is almost cola-like. Finish: Of medium length. Classic. Red fruits, marzipan and/or almond butter, and the slightest charcoal bitterness. Fades a little herby, like absinthe without the anise. With Water: A few drops of water add a bit more of that yeast note, but wash out the rest. Don’t bother with water here, 43% is low enough as it is. Overall: Exactly in the middle of your expectations for a medium-sherry Highlander at 16 years of age. It would be uncalled-for to call it boring, but the word entered my mind more than once while tasting. Really though, it’s not boring… it’s just a confidently well-made middle-of-the-road dram that just about anybody should be able to enjoy. If I had to compare it, I’d say it was a bit like The Balvenie DoubleWood 12, but not quite as good as the 17 year. 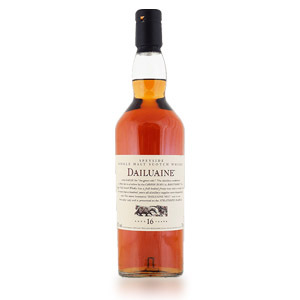 I would definitely not be disappointed to pay $60 (after the exchange rate), especially considering how rare Dailuaine is in the States. Acquired: (50ml sample bottle) from a reader. Thanks!